National University Career Opportunity Notice 2019. 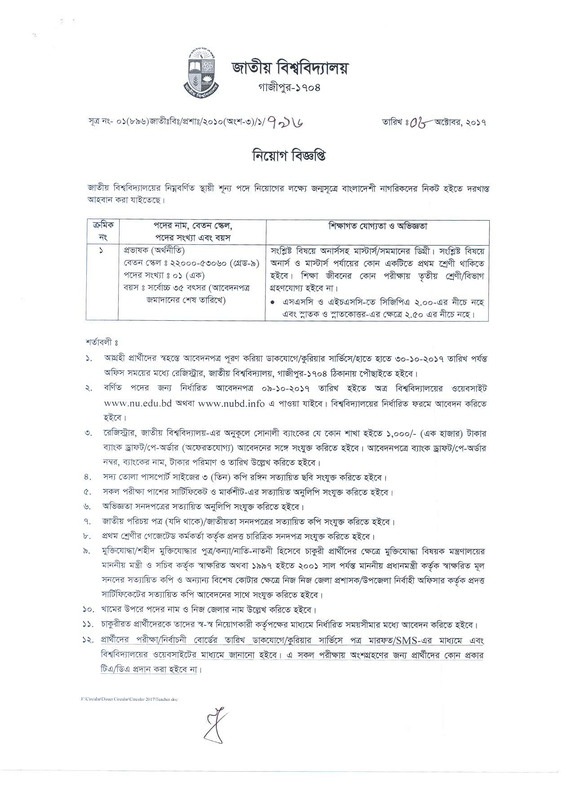 Bangladesh Nu Authority Published the Best Job Circular For You. Many Job Candidates Want to Work in Bangladesh National University. Because It’s an Attractive and Charmfull Vacancy. National University Bangladesh job circular Notice Upload Today On Official Website nu.edu.bd. If You Think That, You Are an Applicant For National University Career Opportunity Notice. Then Check Your Education and Job circular Provider bd Leading online Portal Edujobbd.com. So Do Not Waste Your Valuable Time To Late Discover Nu Professor job circular 2019. 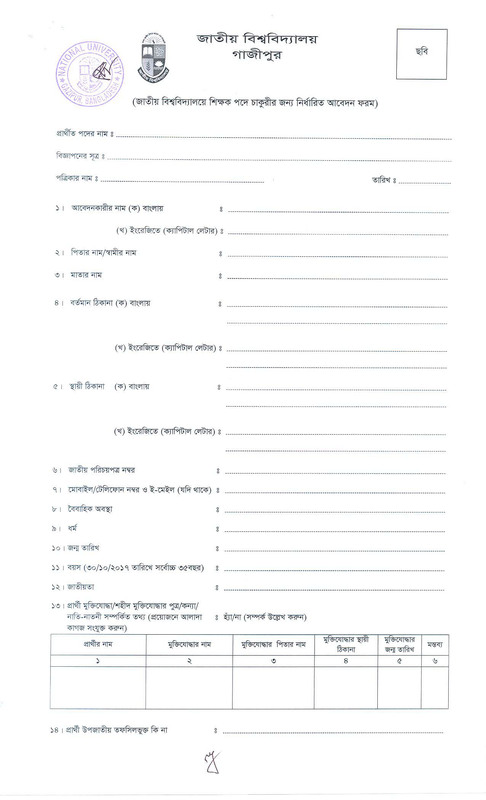 In the Job Article, You can free download the national university job application form and Admit Card. Organization/Sector/Bank/Group Name: National University (জাতীয় বিশ্ববিদ্যালয়). Job Type: See The Nu new Circular. Nu job Salary: 22,000-53,060 Taka. How to Apply: As Per Nu original job Notice.